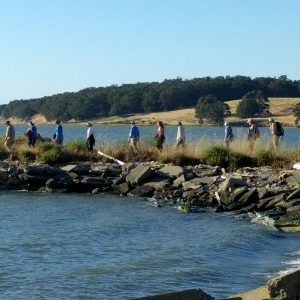 Our mission is to protect the San Pablo Creek Watershed and inspire community appreciation and stewardship through advocacy, education, and habitat restoration. SPAWNERS formed in the spring of 2000, when we brought together local residents to remove invasive ivy and trash from the creek banks at the El Sobrante Library. From there, our scope has grown to include restoring creek banks, removing invasive plant species, planting lovely natives, working with students, monitoring creek water quality, and helping others learn about and appreciate our local creeks.